One of the biggest polarizing effects of practical artificial intelligence applications is that half the world seems to think it will take all our jobs, while the other half says it will create even more jobs. What’s the reality, and is it even worth fighting what’s obviously a losing battle against AI proliferation? As recently as last week, venture capitalist and AI expert Kai-Fu Lee told Scott Pelley of CBS News that he thinks about 40% of all human jobs in existence today will be taken over by robots. He’s not the first to say this, by any means. In fact, Kai-Fu Lee said the same thing nearly two years ago, but at the time his estimate was that 50% of all jobs will be taken by AI in the next 10 years. Others have shared similar views on the matter. What about the other side? One study in 2017 showed that over 10,000 new jobs would be created in AI. High-skill jobs that would require Ph.D.-level knowledge, but more jobs nonetheless. Another study, the World Economic Forum’s Future of Jobs Report 2018, shows that 133 million new jobs will be created by AI, while 75 million current jobs will go to machines. That still leaves a net job increase of 58 million new jobs. There’s an interesting trend here you may have missed. The more recent the study, the less of an impact AI seems to be projected to have on the job market. Kai-Fu Lee himself has reduced the projected impact by 10%, not a small number when you look at the overall global labor force. The U.S. government released a more eye-opening report called Labor Force Change – 1950 to 2050 showing who is most likely to lose their jobs over the next three decades as indicated by trends of the last seventy years. It shows a rise of the number of women entering the workforce, specifically, and we argued that even though the report showed that women will lose more automatable jobs in the short term than men, their greater social intelligence and social awareness could make them more suitable for the jobs of the future – the jobs that machines might not be able to do for centuries yet. There’s no doubt that jobs will be lost, but it’s becoming clearer that even more jobs will be created in their place. The only gap here is that the skills required for such jobs aren’t being acquired by the world’s labor force in as rapid a manner as the development of AI technologies. 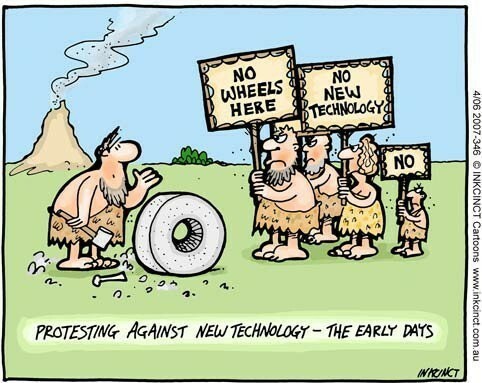 Indeed, much of the resistance to technological and other changes over the past several centuries has been towards innovations that were perceived to only benefit a small segment of society, while posing a risk to the rest of it. Is AI currently being perceived as being the prerogative of the rich? Consider the fact that smart gadgets are often several times more expensive than their dumb cousins. A light switch might cost you a few bucks to replace, but a smart switch could cost as much as $40 or more. This is a dumbed-down example, I’ll admit, but it makes a point AI is not yet being perceived as being beneficial to mankind at large, merely to certain segments of society. Meanwhile, the horrors of a robot-controlled future are accessible for under $10 at your local movie theater or for $11 a month on Netflix – in jaw-dropping HD clarity, no less. The reality is that an AI-rich future is now inevitable. It is rapidly evolving into many forms and touching a myriad of industries. It’s coming, and of that there is absolutely no doubt. The fear about robots taking jobs is a very real one for someone currently engaged in a mundane and repeatable task because these jobs are already being taken over by automation across the globe. But the less-known reality is that the human race will be forced to upgrade its job skills en masse to fill the gaping hole in the AI-related jobs market. This is the change that we really fear because it will push us out of our collective comfort zone. The logical thing to do would be to embrace that change and prepare for it by enhancing our skills to a level that cannot be automated. Either that or make a career change to achieve the same objective. The sad reality, however, is that humans rarely behave in a logical manner. That means those whose jobs are under the guillotine will inevitably be run over by the proverbial AI juggernaut. But humans are optimistic even in the worst of times. Our will to survive will eventually jolt us out of inertia and into reality. And that reality is nearly upon us, which is the only thing everyone seems to agree on. In parting, I’d like to encourage you to think of automation and robots as a part of the evolutionary story of the human race. Indeed, we call it a race because there’s constant movement towards a goal. In this case the journey itself is the goal – keep moving forward. Artificial intelligence is merely a vehicle that will speed up that ‘moving forward’ process. Will it take our jobs? Yes, most definitely and categorically so. Will it reduce the overall number of jobs available to humans? Not very likely. As I’ve said before, there’s always a day’s work to be done, and a day’s wages to be had in exchange. 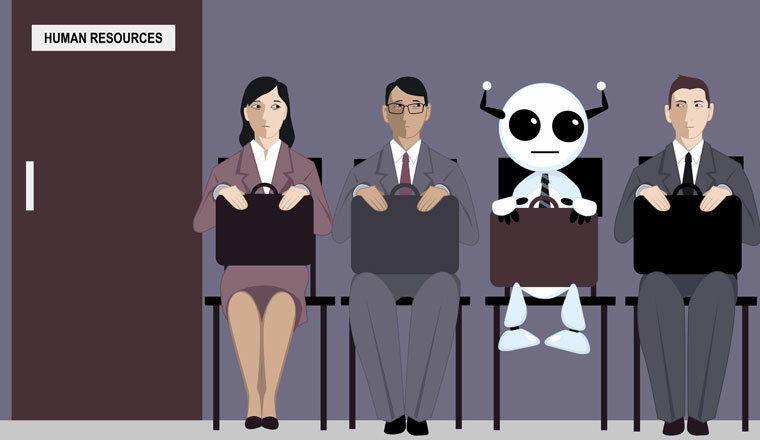 We’ll find jobs that complement the presence of intelligent machines. We did it centuries ago when they thought mass-production would put the majority of the world’s workforce out on the street, and we’ll do it again as technology seemingly threatens to take over our livelihoods today. We just need to have faith that there will be jobs in the future that nobody has thought of yet, and that we will rise to the challenge and fill those jobs. With humans.